These Kilt Pins have been designed from Fly Fishing fly patterns. In the "Traditional" flies section you will find such mainstays as: the Royal Coachman Streamer, the Woolly Bugger, Hare's Ear, Renegade, and many, many more. Each pattern has been modified to be tied to a 3" Kilt Pin whereas these traditional flies might be tied to fishing hooks that are a quarter inch in length. 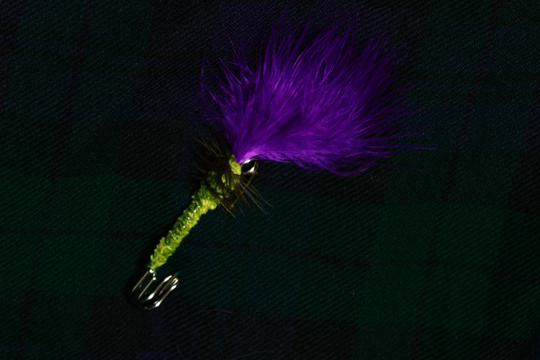 The Custom flies are patterns that have been designed by us using fly tying techniques and materials and all have a unique Scottish flair to them. These flies have not been tested on the river and you will not find these patterns in any fly tying book on the market. 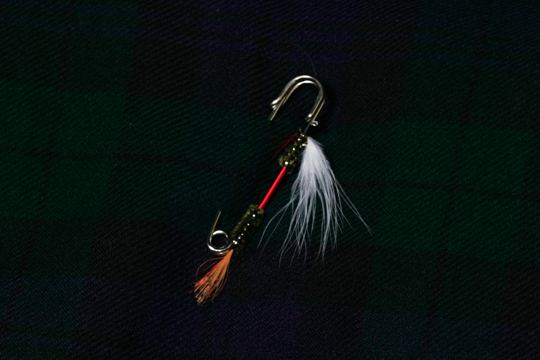 You will find such flies as: The Scottish Thistle, St. Andrew's Saltire, The Rampant Lion, and many more.